The wildfire crossed the border on the night between Friday and Saturday at Raja-Jooseppi in Inari. Firefighters on both sides of the border are trying to beat back flames, but the wildfires are spreading quickly. The fire crossed the border during the night, Finnish Border Guards informs. Fire brigades, border guards and Lapland rescue service are working round-the-clock to extinguish the fires. A helicopter participates on the Finnish side, while Russia’s Emergency Ministry, Emercom, has deployed an aircraft to the area. 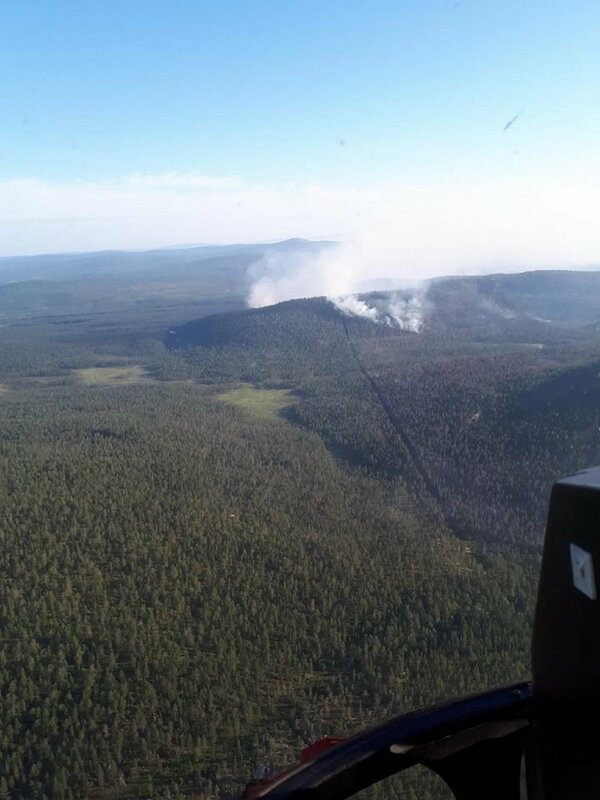 A photo taken from air by Lapland’s Rescue Service and posted on Twitter on Saturday shows how the fire speads across the border. 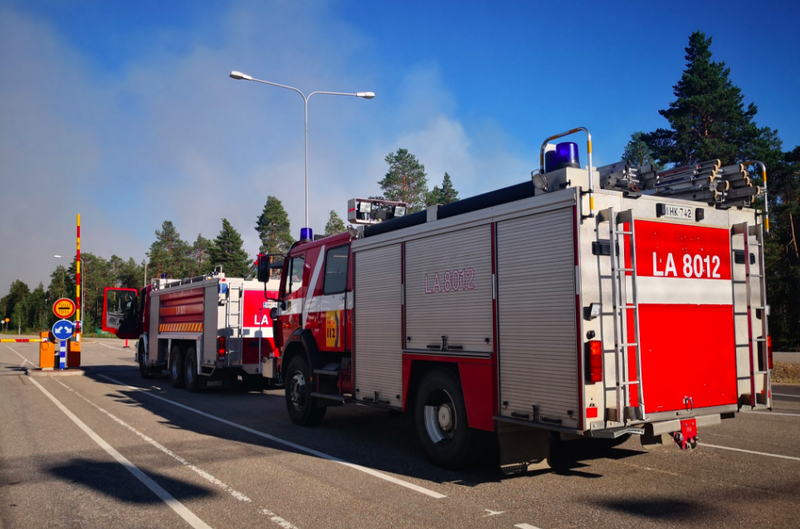 Friday evening, two Finnish fire trucks were allowed to cross the border from Raja-Jooseppi to Lotta in an attempt to protect the Lotta border checkpoint. The fire trucks returned back to the Finnish side early Saturday morning. The border checkpoint is now closed for normal traffic. Raja-Jooseppi in Inari municipality is just one of several areas in Lapland with wildfires. Two fires were extinguished on Friday, one near Inari and another near Rovaniemi, while fire fighters are still working to stop a wildfire in Raijankiselkä near Kittilä where more than 20 hectares have gone up in smoke. In Russia, another forest fire is spreading towards the Finnish border near Salla further south on the Kola Peninsula. Finnish border guards say this fire is currently estimated to be about a few hundred meters from the border. There are some 20 wildfires in the Murmansk region this weekend, Novaya Gazeta reports. Extreme heat in northern Scandinavia and on Russia’s Kola Peninsula has dried up the nature over the last few weeks. Hope and fear are in the air, it started to rain after 2 pm on Saturday both at Raja-Jooseppi and Salla. For Sunday, however, weather services predict heavyd thundershowers in northeastern Lapland with the border areas to Russia. A worst-case scenario is that lighting strikes could trigger even more fires in the area. Update July 21, 19.00: Lapland Border Guards reports on twitter that both wildfires, at Raja-Jooseppi and Salla, are contained.